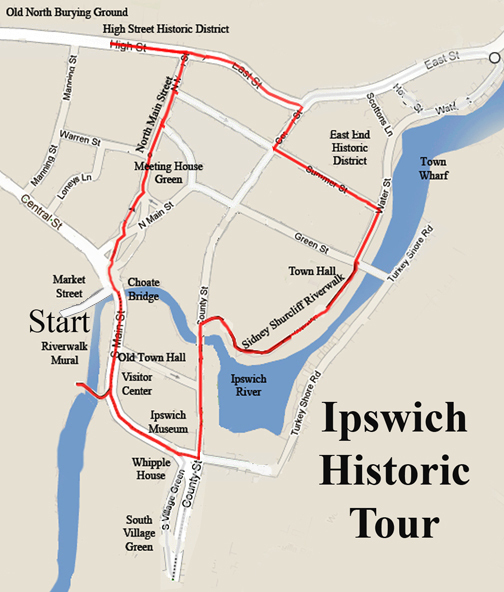 Self-guided walking tours of historic Ipswich were developed by town historian Gordon Harris, and can be viewed online or downloaded as a PDF document. Location: The full tour starts across the river from the Ipswich Visitors Center at the Ipswich Riverwalk Mural behind the EBSCO buildings and Zumi’s. View at Google Maps. 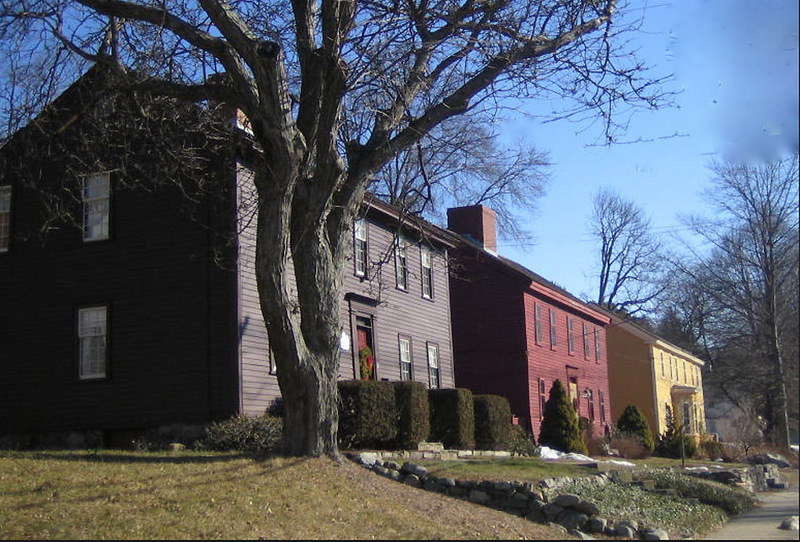 The 1690 Preston Foster house and the Harris-Sutton house on Water St.
John Winthrop Jr led an expedition in 1633 to establish the settlement of Ipswich. The first houses were “wigwams, huts, and hovels” built near what is now the Town Wharf in the East End area of town. The South Green was originally known as School House Green. Many of the most important early settlers received grants of land here, and for two centuries the South Green served as a military training ground. 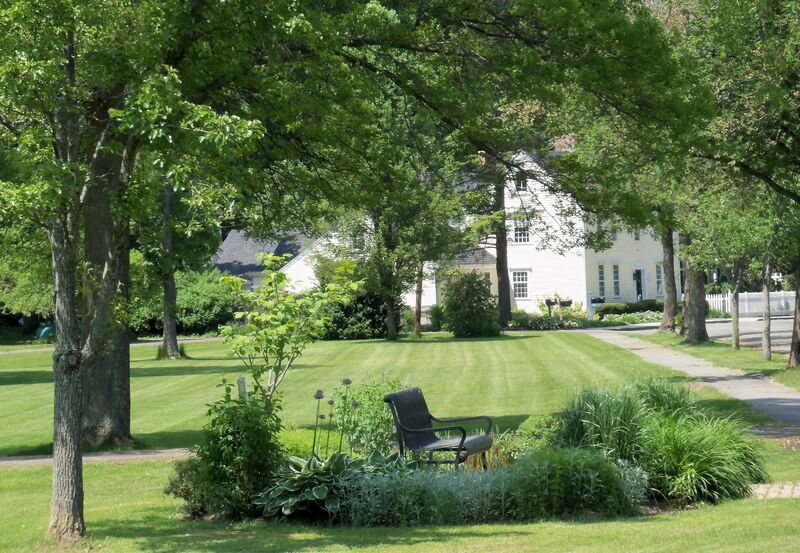 Meetinghouse Green on Town Hill was the governmental center for Puritan Ipswich. Dwellings had to be within one half mile of the Meeting House. North Main Street is lined with elegant homes built by the leaders of the town over. 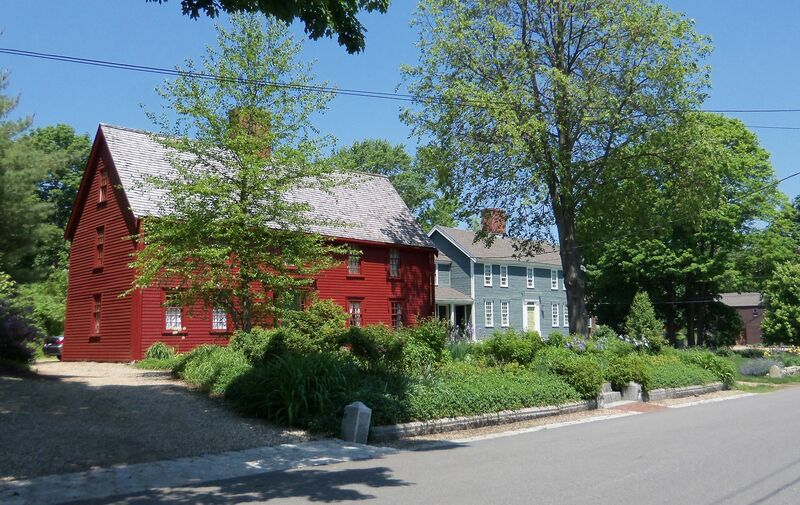 View an interactive map of Meetinghouse Green and North Main Street. 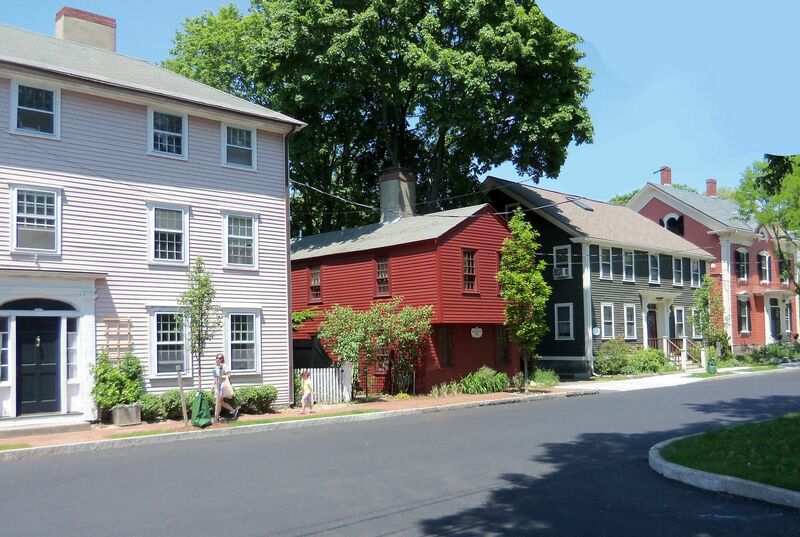 High Street has the largest concentration of “First Period” houses in America (built before 1720). Many of the well-preserved 17th, 18th, and 19th Century houses along High Street served as taverns, stores, or craftsman’s shops. The Old Burying Ground is on High Street near Lords Square.